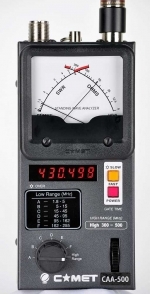 Rugged, easy-to-use, hand-held design with extended battery life makes it ideal for use in the field, Single frequency readings and frequency sweeps allow for everything from pinpointests to system optimization and tuning. RS232 Interface allows communication with a PC for saving traces using the optional software. 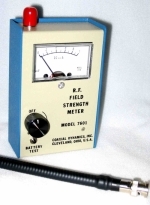 The Bird AT-Series Antenna Testers provide a cost-effective, fast, graphical way of determining the quality of mobile and base station antennas. Verification Kit Used to verify tester performance. Includes standard mismatch and connector adapter. Used in Excellent Condition, 90 Day Warranty. Automobile Cigarette Lighter Adapter (P/N 5A2238-1) Connects tester to standard 12V automotive cigarette lighter jack. 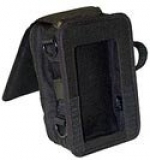 Carrying Case for AT500 and AT-800 (P/N 5000-030) Convenient and protective, large enough to carry the tester, AC adapter, connectors, field strength antenna and instruction book. PC software used to upload trace data for analysis, printing or storage. System requirements: IBM PC or equivalent; Windows 95 or later, 4 MB free hard disk space; VGA monitor, open com port. Easy to operate and field ready for first-time, occasional and experienced users. Other applications include 3G, Broadcast, Government, Tactical Military, Microwave, Paging, Public Safety, Trunking, WLAN and WLL, and TETRA. Color display is clearly visible in direct sunlight. With a single download you can view data as Distance to Fault or Measurement Match-no need to store two traces. FDR (Frequency Domain Reflectometry) measurement method results in a highly reliable assessment of the health of critical components in your system; ultimately providing a "heads-up" before a failure occurs. Fault location or DTF mode indicates VSWR or Return Loss levels at each point along the cable and antenna system length. 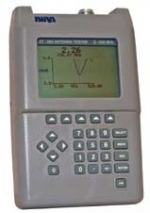 Cable Loss function measures insertion loss of the cable system over a given frequency range. USB communication ports for connection to PC, field sensors, and storage devices.